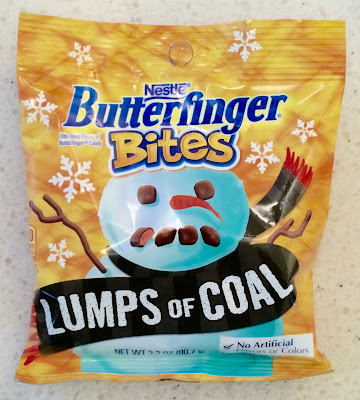 Same delicious Butterfinger Bites, but marketed for Christmas as lumps of coal from Santa with a frowny-faced snowman emblazoned on the wrapper! Funny, season specific, and perfect for the Christmas stocking! 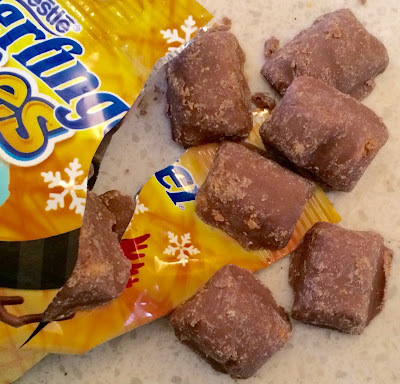 Ants on coal./.......Remember the candy canes??? ?